Obtaining/discovering evidence for the defense and reviewing evidence for a criminal defense case can be a daunting task, especially in light of the technology aspects of today’s world. You not only need to determine what evidence needs to be obtained, but once you receive the evidence from the law enforcement agency (LEA), you need to figure out how to view it. The first step in obtaining all evidence in a criminal case is to meticulously review each page of discovery and prepare an evidence list of all possible items that need to be requested. 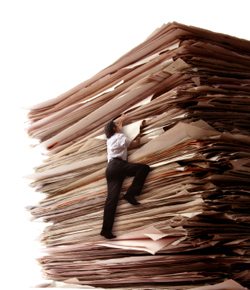 Written requests are then drafted to the appropriate individual or department at each LEA. This may be the evidence custodian, central records, or the legal liaison for the LEA. If any of the subjects are minors, the LEA will require a court order before they will provide the defense with unredacted copies of the evidence. Having a directory of form letters for these request letters saves time, creates consistency, and allows any staff member to prepare these requests as needed. Once the requests are mailed, it is important to make an entry in your diary system in order to follow up on these requests if not received in a timely fashion. Constant follow up with the LEA is the key to receiving what you have requested. Once the discovery is received from the LEA, the next task is reviewing the paper documents received for any new information or evidence. Next, review each digital media item for clarity and content. Most recorded statements are now duplicated on CD’s or DVD’s. Surveillance videos are duplicated on DVD’s. Photographs are placed on a CD in digital format. Surveillance videos are the most difficult media to review because each surveillance camera manufacturer has their own proprietary software. The company that manufactured the surveillance equipment usually has an IT department that will assist you in downloading the software you need to view the surveillance footage. CD’s containing digital photographs are easily viewed because they contain JPG images of the photographs. You can then determine whether you want prints made of the photographs for future reference. Many times, the State Attorney is provided discovery by the arresting law enforcement officer. The defense, however, must go through the laborious process of requesting all discovery from the custodian of evidence at the LEA. In some cases, a prosecutor will insist on providing the defense attorney with copies of the digital or photographic evidence. This is problematic, however, since the defense is now receiving a “second generation” version of the evidence. It is always in your client’s best interest to obtain first generation copies from the LEA. Thoroughness is the key when reviewing discovery and requesting evidence. Courtesy and politeness with the LEA personnel will assist you in successfully obtaining the requested discovery. Please contact us if you need assistance in reviewing and obtaining discovery items from law enforcement agencies for your client. Or visit our site for more info about our legal investigation services.